Every printing process has its own set of requirements. The Pre-Press department is where every production process begins. Carr Printing Co. has a highly skilled team with state of the art equipment to prepare your project files for the journey through the shop. 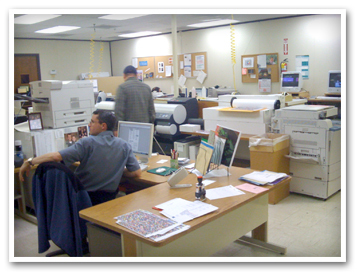 Some of our current staff have had over 30 years of experience in the pre-press department. With that kind of experience you can be sure your print project is in the right hands. Our designers, proofreaders, and image technicians are trained to be expert in the services and equipment below.